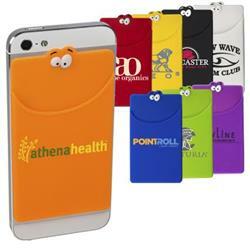 The GoofyTM Silicone Mobile Device Pocket by Adco Marketing is a fun promotional cell phone wallet with google eyes that will a popular giveaway item anyone will want. 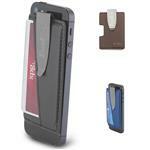 The removable adhesive silicone made with 3MTM adhesive sticks on the back of a cell phone or mobile device doubles as a wallet. It holds credit cards, driver's license, business cards, stylus, coins or other small personal items a clients wants to carry around. 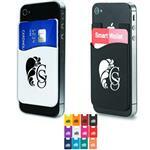 Customizable with your logo or design, it comes in a variety of bright colors to choose from. Perfect for tradeshows or any event. 24 HOUR RUSH AVAILABLE!!! 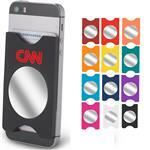 So spread a little cheer with this fun promotional cell accessory.